A large valentine supershape foil balloon measuring approximately 89cm x 66cm. 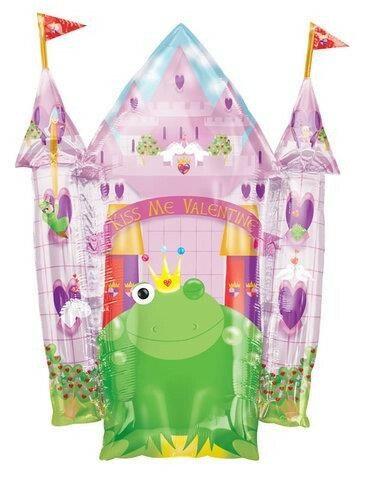 A large pink castle with a large green frog with the wording Kiss Me Valentine on the front and a Prince and the wording Love Will Reign on the back. Balloon can be both helium or air filled.